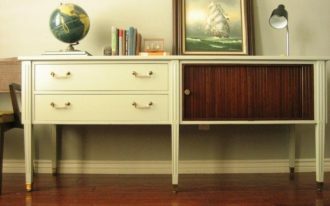 Besides sofas and a coffee table, you can also decorate a console table in your living room for more attractive furniture ideas. 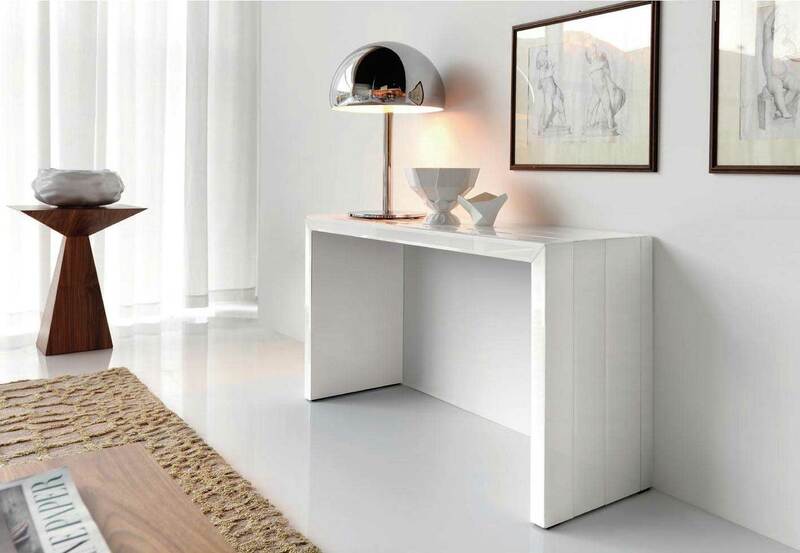 Yeah, the console table will provide you sophisticated, modern and classic visualization in your living room. 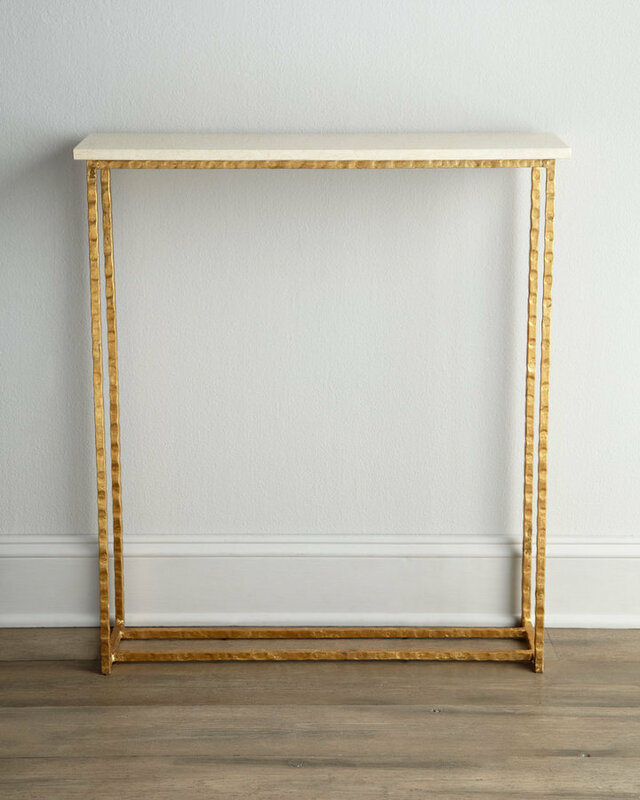 Well, if you think that your living room is quite narrow to decorate a console table, you may think about decorating a slim console table instead. 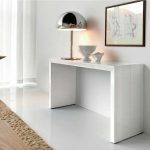 As you can see in the pictures, there are various kinds of slim console table that you can choose to beautify your lovely interior. 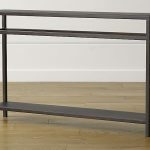 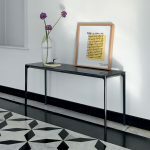 The first console table is in a console table with wooden top in a black finishing and iron leg which fits well for small space. 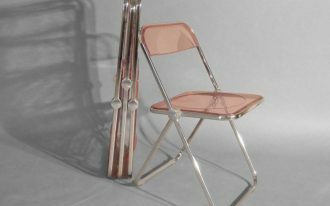 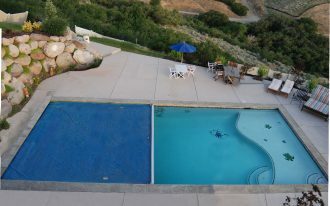 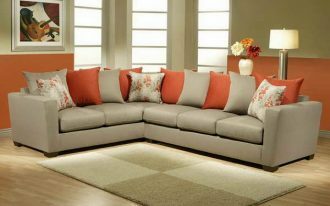 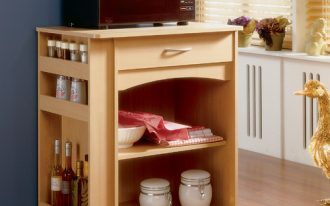 Yeah, it will not occupy a great amount of space in your living room as it is presented in slim and simple design. 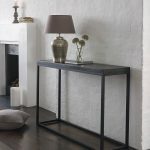 If you think that this console table is too simple, you can adorn it with a sophisticated table lamp and also small flower vase on the top of the table. 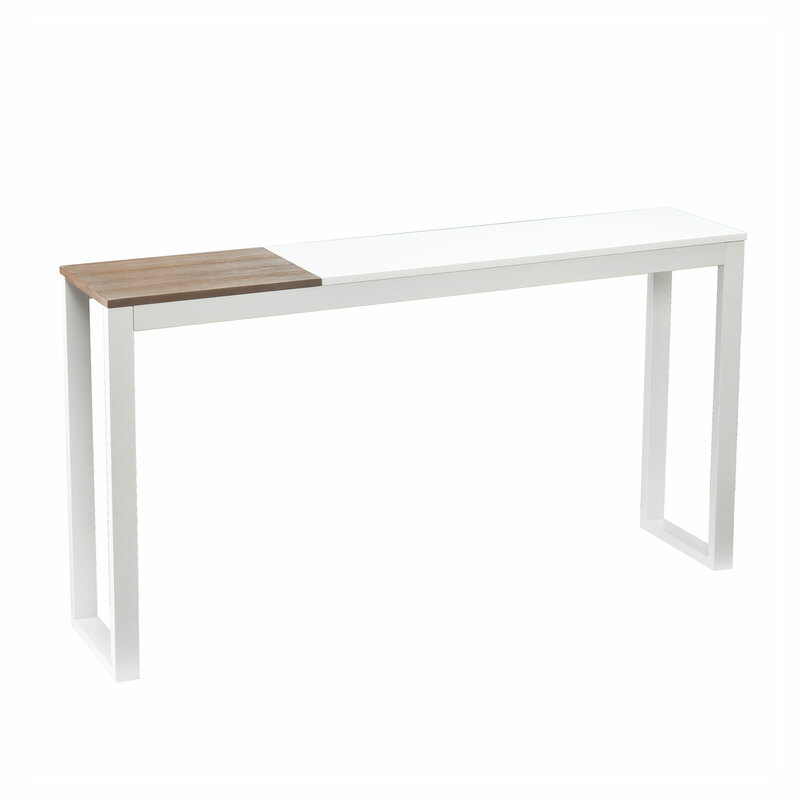 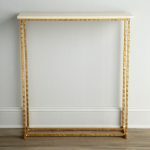 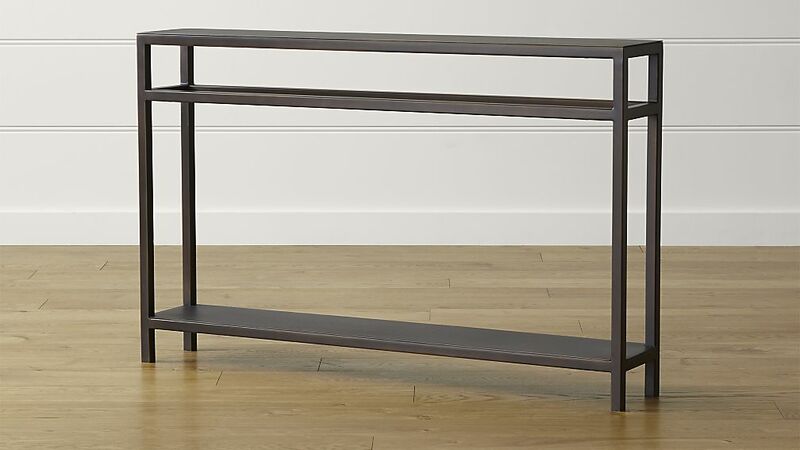 Let’s move to another slim console table. 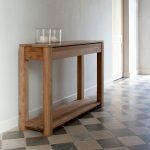 The console table with wooden legs and a glass top will be a right choice for you who want to present both traditional and modern styles. 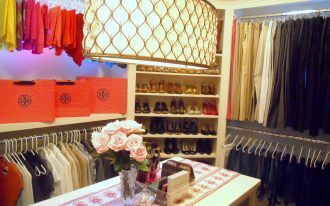 Let’s decorate some accessories on the top of the table to present beautiful attraction. 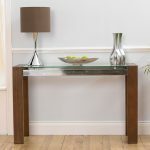 For example, you can put a table lamp with a brown shade and a silver flower vase. 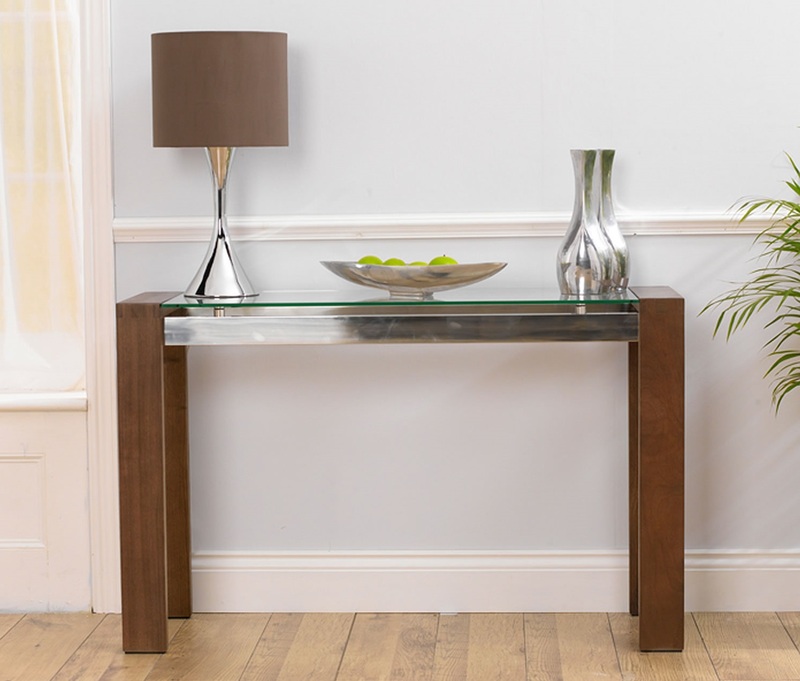 If you love a classy thing, you can pick the console table with the glossy finishing. 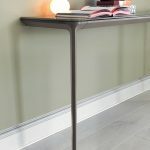 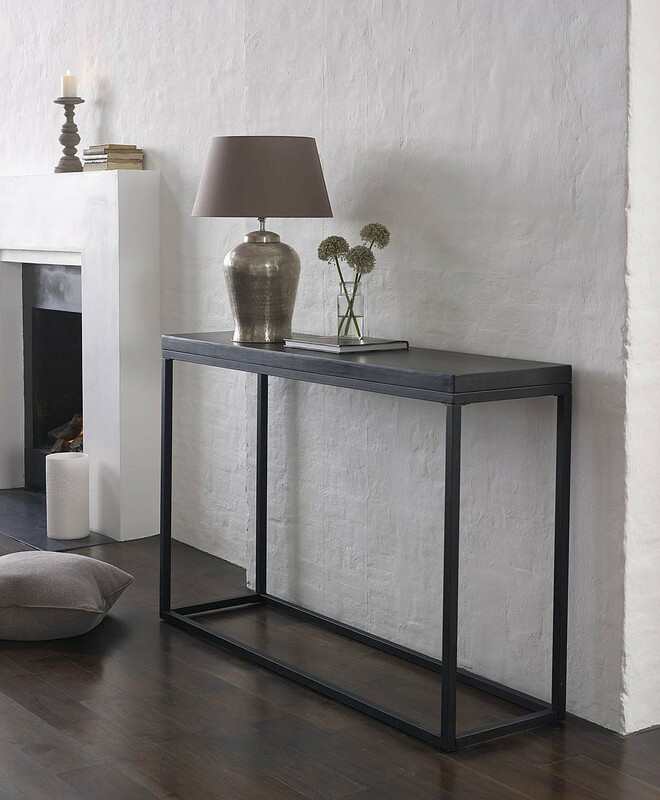 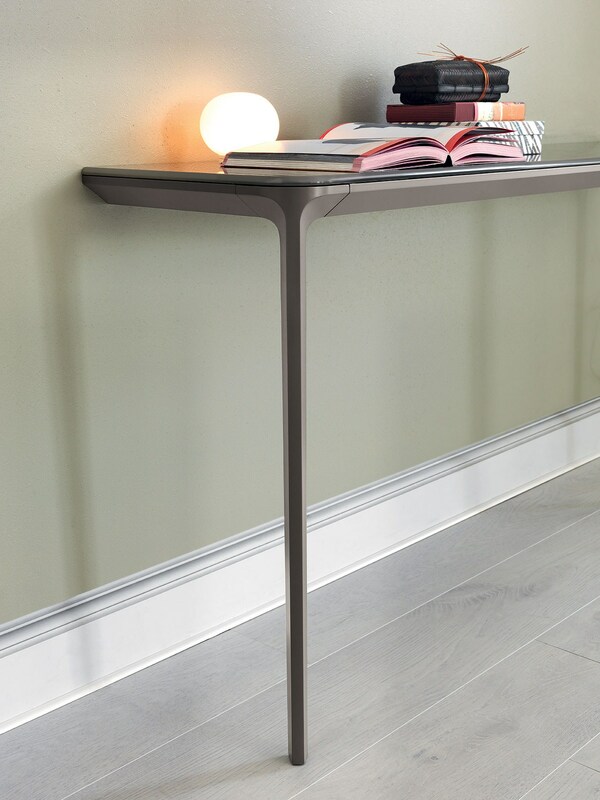 With the glass top and nickel legs, this slim console table just looks modern, stylish and glamour. 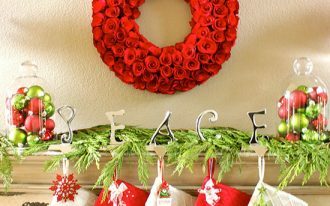 For adornment, put a large glass flower vase and also photo frames. 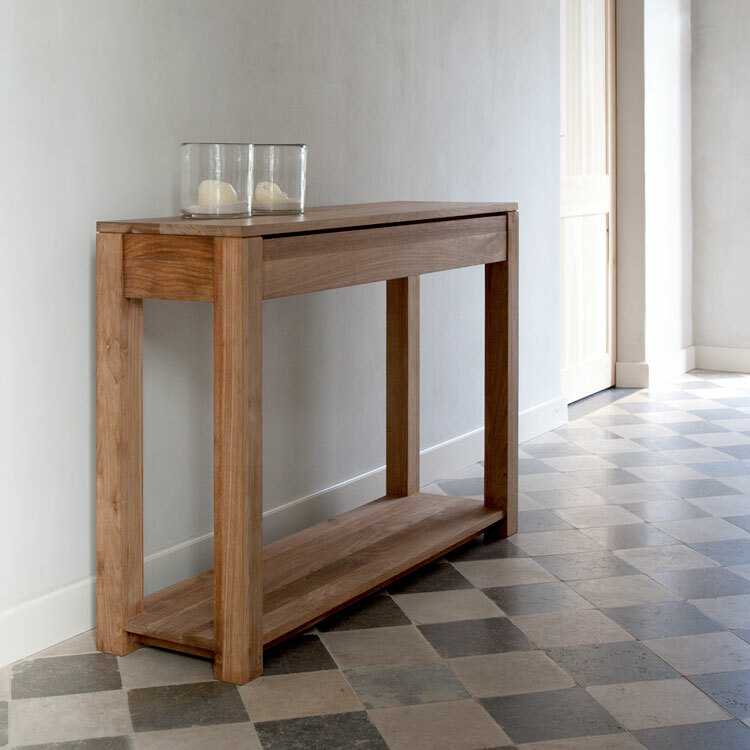 The wooden console table is also a good option for you who love traditional style. 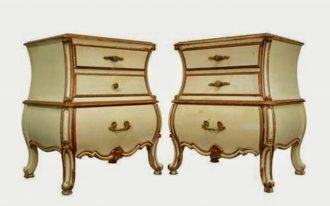 Its shape and finishing are so beautiful and classic. 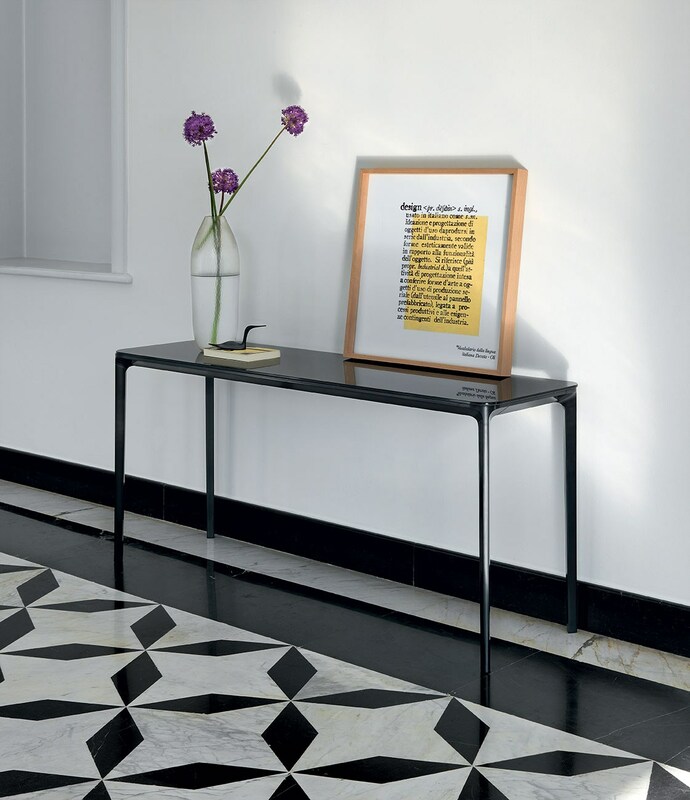 The stunning vase in the same color scheme and also the photo frame fit makes the console table looks dazzling!